Dairy Hill is a place where friends and neighbors can comfortably gather to enjoy the sweet treats of yesteryear. Opened in 2015 to be an authentic, traditional ice cream shop that is locally owned and locally focused. From our baseball-helmet sundaes to our home baked cookies, Dairy Hill offers a nostalgic feel and a welcoming environment where we can savor timeless favorites such as shakes, malts, banana splits, ice cream cakes, and our specialty, handmade ice cream sandwiches. Sometimes folks just want to indulge in simple, gratifying (and budget-friendly) pleasures that take you back to another time. Dairy Hill Ice Cream, is a family-run, community-oriented shop providing old-fashioned satisfaction to our Southwest Portland neighbors. Hillsdale was the perfect home for When I opened And, in a nod to the area’s roots as a dairy center, I still source most of my products from Alpenrose Dairy, who 100 years ago opened its first facility just down the road from Dairy Hill’s current home. Portland is rightfully proud of its reputation as a cutting-edge culinary hotbed, but . I opened Dairy Hill Ice Cream for just such moments–a place where my family’s friends and neighbors can comfortably gather to enjoy the sweet treats of yesteryear. Come home to Dairy Hill! 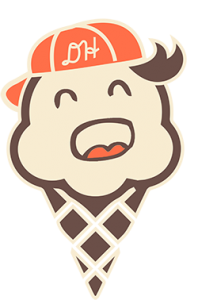 Dairy Hill now has two locations, serving you the city’s best ice cream!